Experian replaced its Triple Advantage Credit Monitoring services with Experian Credit Tracker Credit Monitoring. Triple Advantage Credit Monitoring gave customers unlimited access to your Experian credit report and score along with daily monitoring to changes on all three credit reports and two monthly updates to your Experian credit score. You could see as much of your Experian credit report as you wanted to, but you'd have to pay for access to your other two credit reports. Experian charged $14.95 per month for Triple Advantage and gave the ability to add a child's account for $6.95. Experian Credit Tracker Credit Monitoring charges an introductory price of $4.95 for the first month. You can view your Experian credit report and score for less than it would cost if you ordered them directly from Experian ($19.95). After the first month, you'll be automatically billed $19.95 each month for your subscription. It's $5 more than the previous cost of Triple Advantage, without adding many additional benefits. You can cancel at any time if you're not satisfied with the service. With your monthly subscription, you'll get unlimited online access to your Experian credit report and FICO score based on the information in your Experian credit report. You'll receive a credit score based on your FICO Score 8 model. FICO 8 is not the most recent FICO scoring model, but according to myFICO.com, it's the most widely used version. Lenders, of course, may use a different credit score from this one, but you still get an idea of where your credit stands overall and what you can do to get a better credit score. Get daily alerts notifications whenever information in your Experian credit report changes. Changes to your credit report can indicate credit card fraud or identity theft. Receiving these daily notifications allows you to act quickly and prevent instances of fraud from getting worse. Experian Credit Tracker provides you a $50,000 guarantee which includes access to a Fraud Resolution Specialist who can help you in the event that your identity is stolen. Unfortunately, New York State law prevents this offer from being extended to residents of New York State. You'll receive a monthly statement that includes your FICO score, a report of activity that's occurred on your credit reports, and a summary of details that may affect your loan applications. So many companies now offer credit monitoring services these days that it doesn't make sense to pay for credit monitoring. Credit Karma offers free credit reporting - including daily credit score updates and weekly credit report updates - of your TransUnion and Experian credit reports. Credit Sesame provides weekly monitoring for your Experian credit reports. Quizzle provides semi-annual updates to your Equifax credit report and credit score. 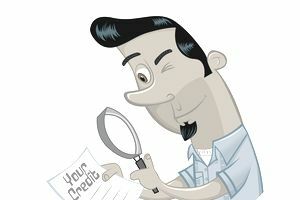 Finally, you can order a free credit report each year through AnnualCreditReport.com. None of these services require a credit card or a subscription.